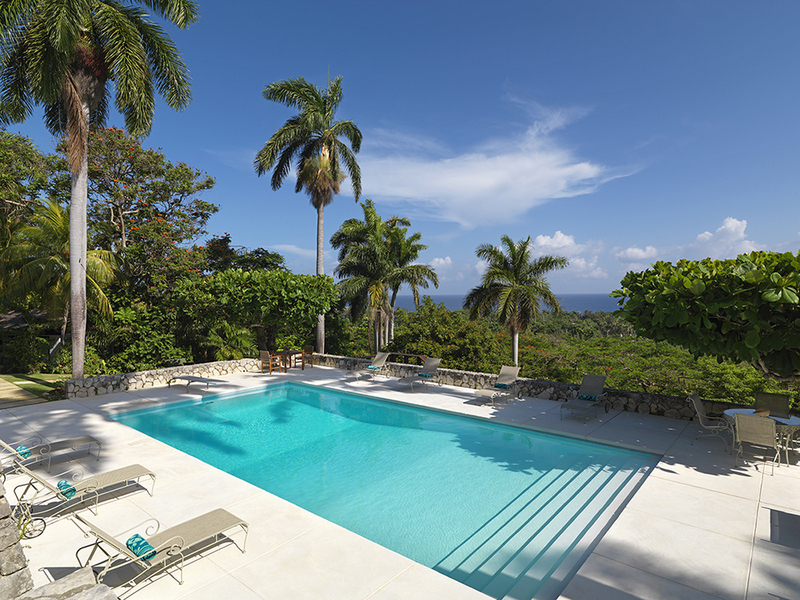 Villa Rosa is our newest villa in Montego Bay's Spring Farm neighborhood. 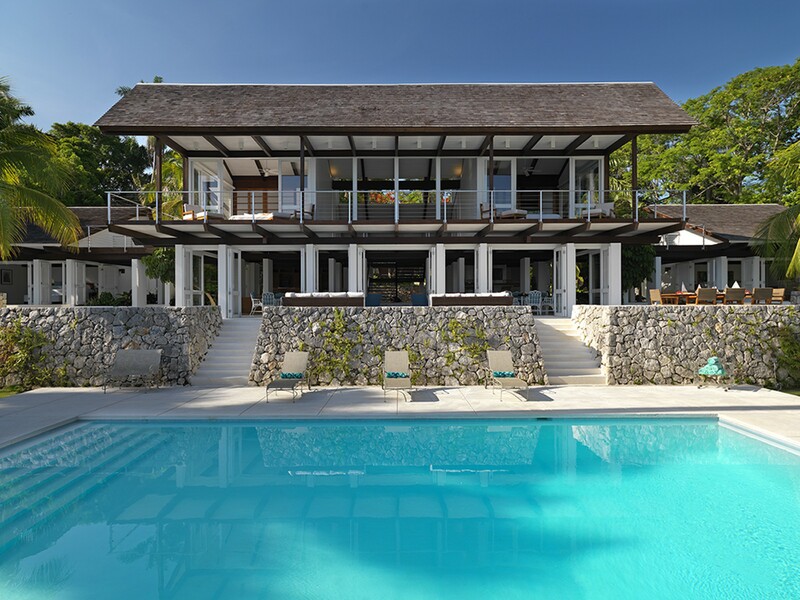 It is a stunning, modern villa, brilliantly designed for an extraordinary indoor-outdoor lifestyle with a full complement of impressive luxuries for the upscale traveler. 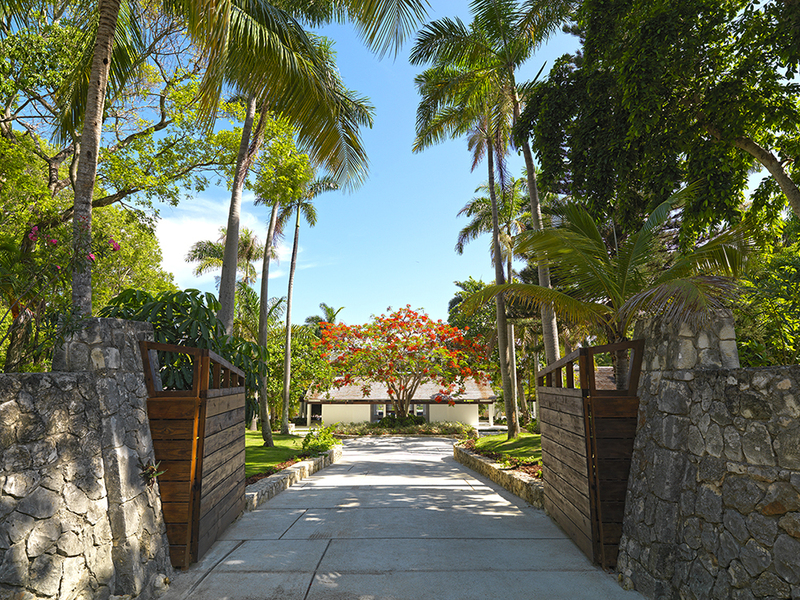 Half Moon Golf, Tennis & Beach Club Membership: Complimentary Green Fees at Half Moon plus beach and other resort amenities. VILLA ROSA is stunning! 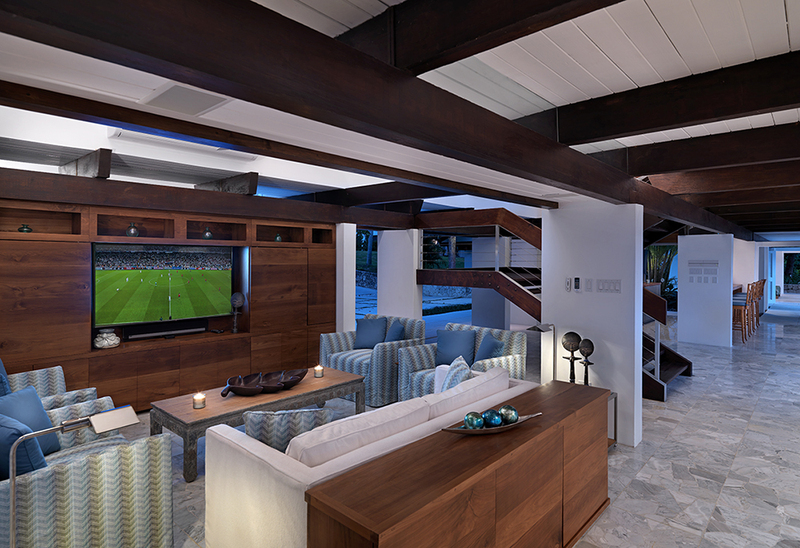 Here is our newest modern villa, brilliantly designed for an extraordinary indoor-outdoor lifestyle with a full complement of impressive luxuries for the upscale traveler. 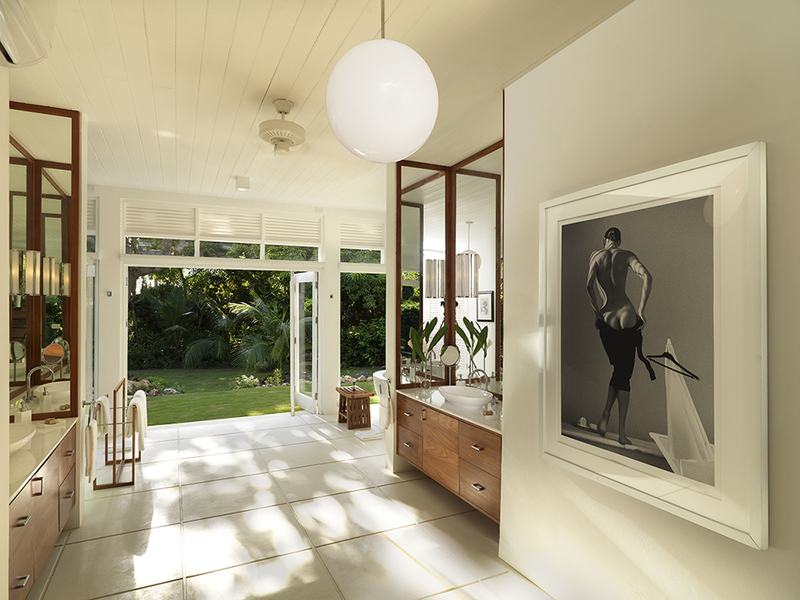 Tall walls of glass create seamless transitions between chic uncluttered rooms and lush tropical surroundings. Anticipate the best of everything. 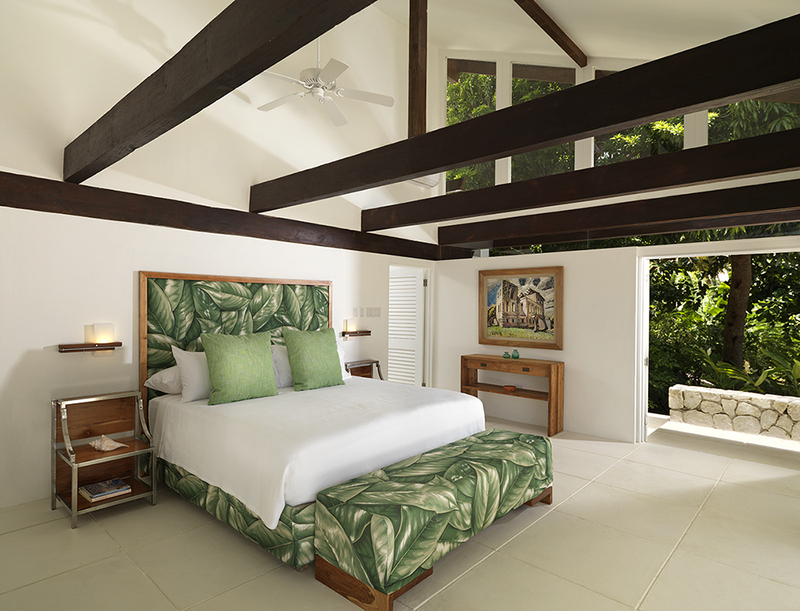 The Main House consists of four spacious bedrooms, each with kingsize bed, glamorous en-suite bathroom and terrace or balcony. 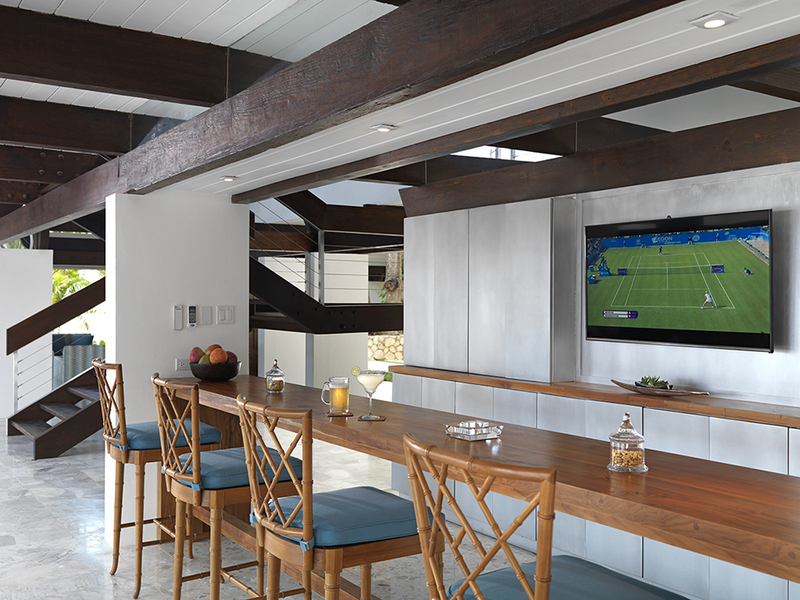 Also in the Main House are the media room, bar, multiple television viewing spots and two dining areas. The gifted chef heads an excellent trained staff. 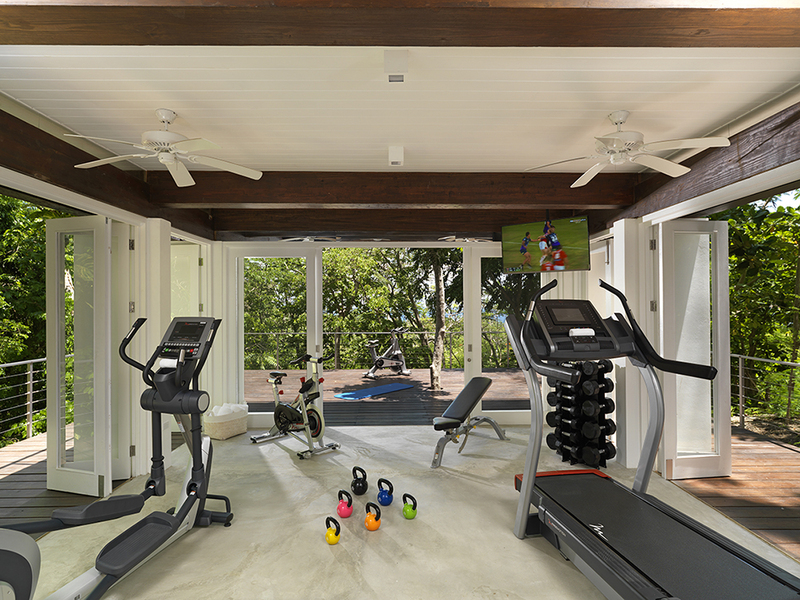 In a separate pavilion nestled in the trees is the private fitness room, well equipped with Freemotion elliptical and treadmill, 2 spinning bikes, weight bench, kettle bells 5-30 lbs, VTX weights 3-50 lbs, 20’ x 30’ yoga deck and mats, 50” TV and shower. Several championship golf courses are available nearby: Half Moon membership includes unlimited free green fees; discounted green fees at White Witch and Cinnamon Hill golf courses at Rose Hall; and Tryall Club is across town too. 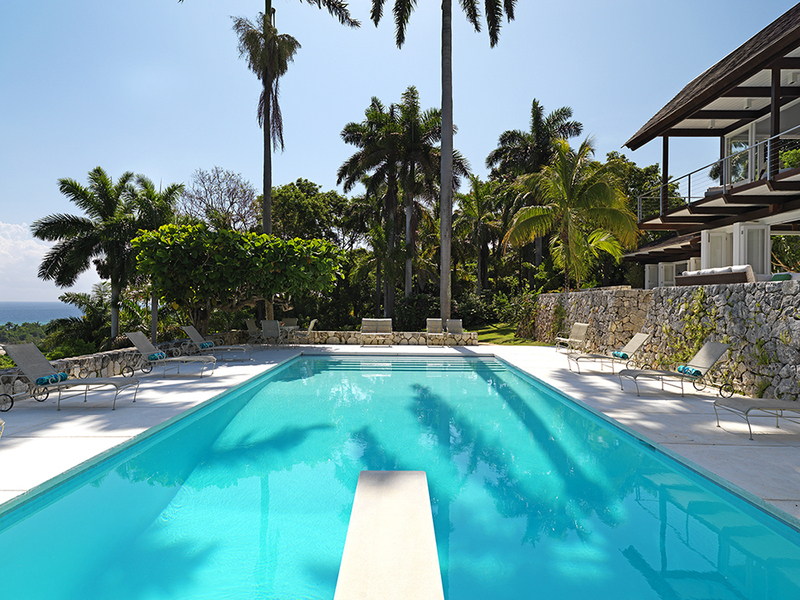 Built with the adult traveler in mind, Villa Rosa accepts families with children ages 6 and older. 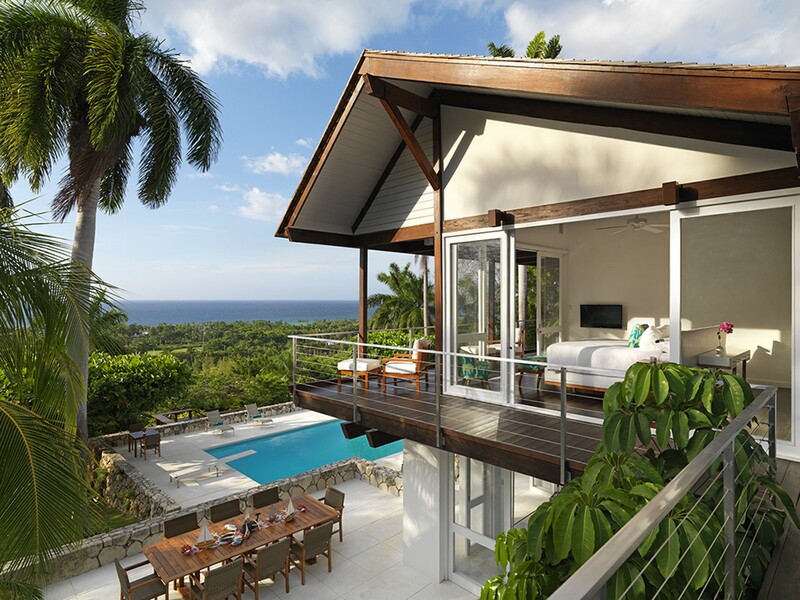 Each bedroom features quiet remote-control air conditioning, cable TV, ceiling fans, telephone, Wi-Fi and breathtaking views through oversize window walls. 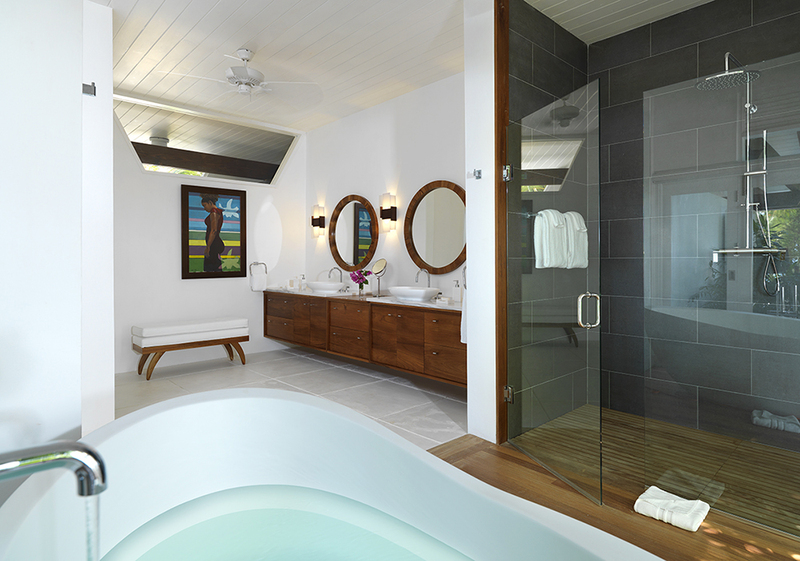 Kingsize bed and en-suite bathroom with double vanity, bathtub and walk-in double rain shower. Connecting outdoor shower in private garden. Bedroom adjoins media room to create a convenient family suite if desired. Oversize sofas can convert into three twin beds. En-suite bathroom has single vanity and walk-in shower. 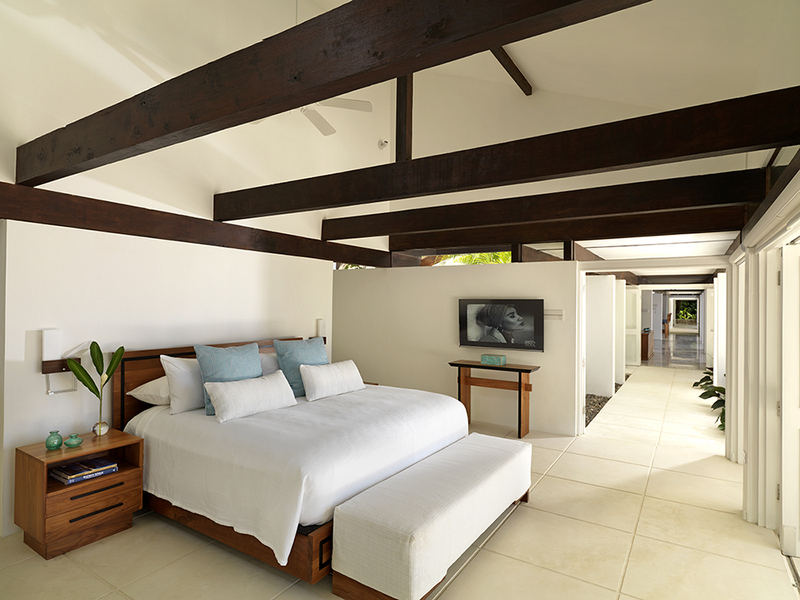 Kingsize bed and en-suite bathroom with double vanity, separate bathtub and walk-in shower. 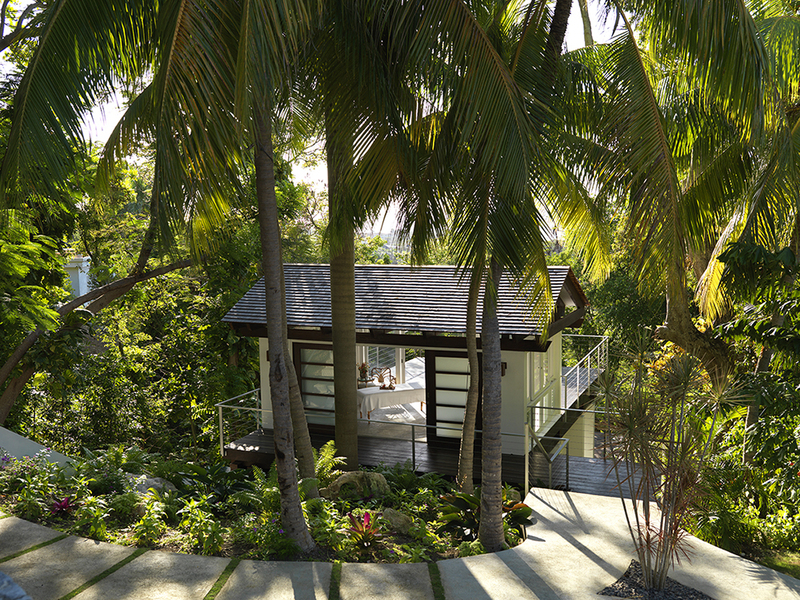 Also connecting outdoor shower in private garden. Kingsize bed. 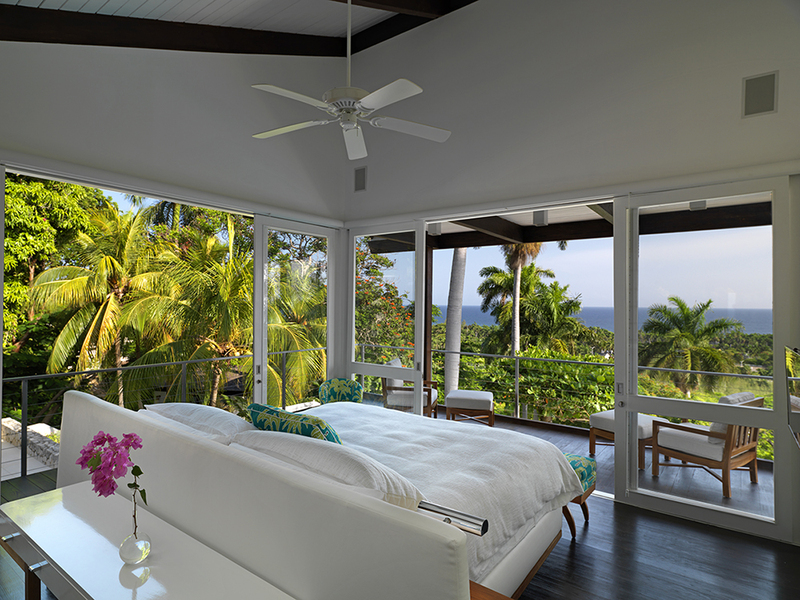 Corner room with floor-to-ceiling windows. En-suite bathroom with walk-in shower, and private balcony with al fresco bathtub. Second corner room with floor-to-ceiling windows. 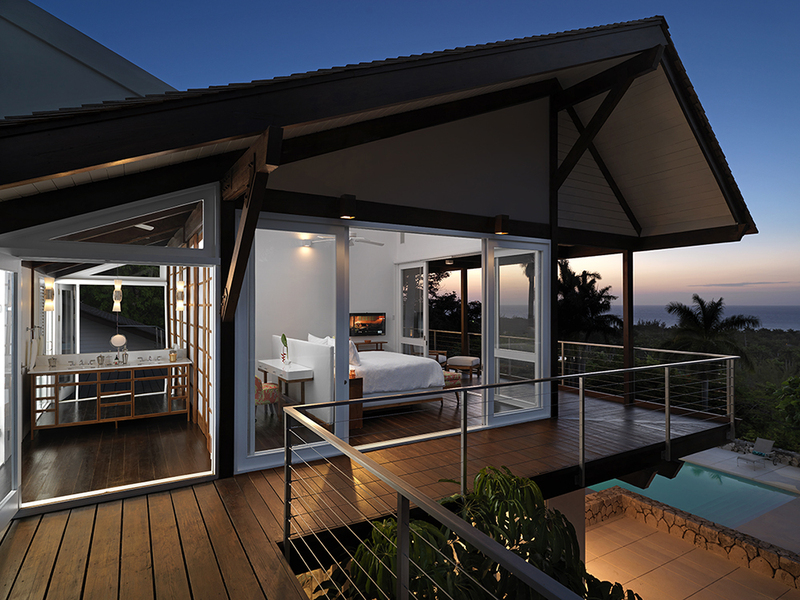 Kingsize bed and en-suite bathroom with walk-in shower, and its own balcony with al fresco bathtub. For a larger group, Villa Rosa's nearby sister house is Flower Hill. 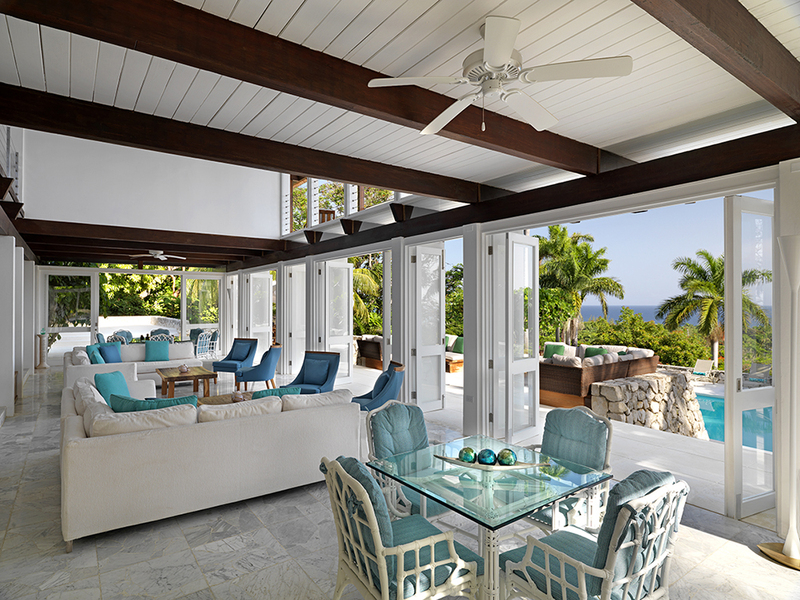 Combined, these two top-of-the-line villas provide ten bedrooms that can accommodate up to 23 guests (and a few more on request). A seriously glamorous duo! The following activities may be booked on the day of service and are subject to availability: Spa, Horseback Riding, Watersports and Tennis. No food or beverages are allowed to be brought on Half Moon property. No towel service for members at the pools or beach.